Provided you have registered a new account at the Site, you must send an e-mail to promo@188bet.com containing the following: User Name, the Bet ID, and Promotion code ‘NU125′. 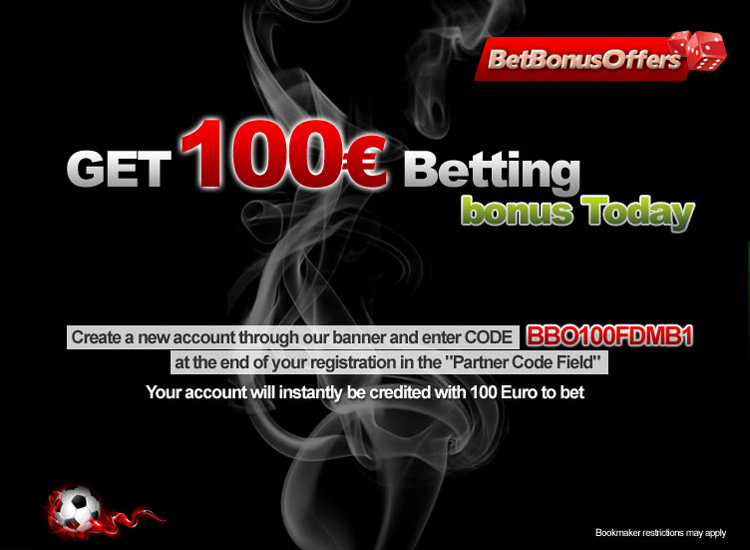 To qualify for this Promotion you must be residing in the UK and you must be a new customer of 188Bet. In case your first settled bet is a losing bet, your 188Bet account will be awarded with your losing wager of a maximum amount of £25 / €30. Winning bets do not qualify for this promotion. Your account will be awarded within 7 days of your initial claim. The qualifying bet on your account is the first settled bet. The Promotion is limited to one customer per IP address. The Promotion ends at midnight 9th September 2012. * A ‘settled bet’ is a bet that that has been fully accepted by 188BET in a market that has been settled on a result with all due winnings paid out. ** Your risk is the amount of your wager.